The stream temperature model predictions can be downloaded as a static CSV file from the following link. The SHEDS catchment delineation (NHDHRDV2) are available as a series of shapefiles, pre-staged by 2-digit hydrologic unit codes (HUCs). The model predictions and covariates CSV files can be joined to these shapefiles using the mutual featureid column. 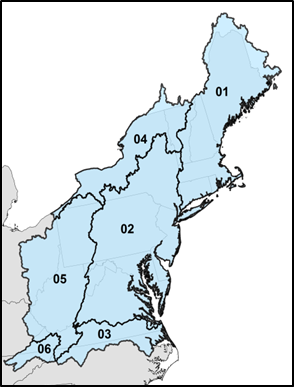 The SHEDS catchment covariates are available as a series of CSV files, pre-staged by 2-digit hydrologic unit codes (HUCs). The covariates contain the catchment characteristics that are used as input variables to the stream temperature model.